This is a well thought out water dispenser. It's beautiful design is only surpassed by it's superior construction, and with a 10 year warranty you have no worries. The elegant design complements any style home or office. It is perfect for typical usage of up to 1-35 people. Hot & Cold: This bottleless cooler/dispenser has instant cold and child-resistant hot water faucets. The sealed, stainless steel reservoir holds 1-gallon of ice-cold water. The hot tank is also stainless and holds 1.2 liters of steaming water. The water is dispensed at 180 degrees. External: The UV-resistant cabinet is easy to clean and very durable. The "drip tray" lifts out and is dishwasher safe. Internal: Equipped with a top quality, quiet 1.7A compressor. Components are lead free as defined by the Safe Drinking Water Act, and the Lead Free Contamination Control Act. CSA and Energy Star Certified. The cooler is sanitized and sealed at the factory. This is just the Bottleless Cooler w/o a filtration package, HOWEVER it is fully ready to attach on to your municipal water supply with your own choice of filtration. Comes with 1/4" line to connect to your water supply. Looking for ideal Commercial Type Water Dispenser Manufacturer & supplier ? We have a wide selection at great prices to help you get creative. All the Cost Effective Water Dispenser are quality guaranteed. 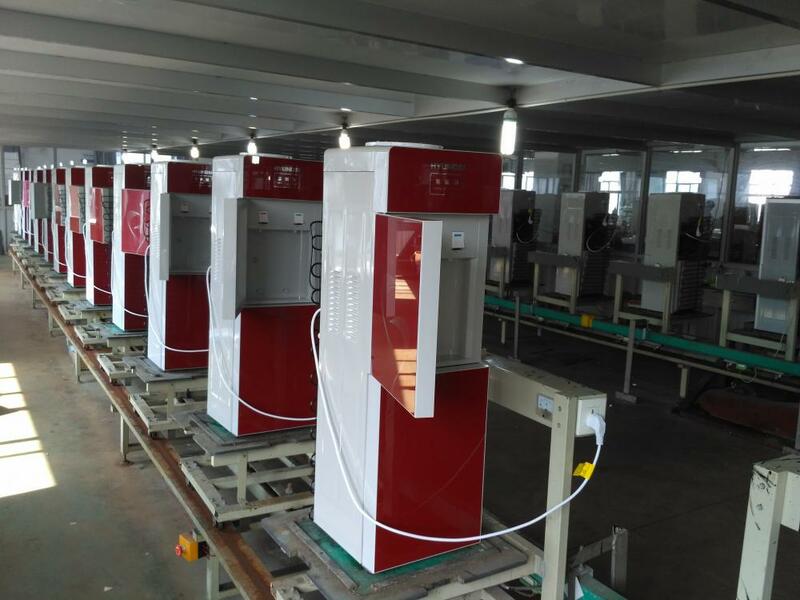 We are China Origin Factory of Commercial Water Dispenser. If you have any question, please feel free to contact us.